Oil and gas are still indispensable fuels for the global economy, and exploring for new sources of oil and gas remains a lucrative and attractive endeavour. New oil platforms, rigs and pipelines are constantly being constructed to meet the demand for oil, with a corresponding growth in the number of factories and control centres used to process and manage crude oil. 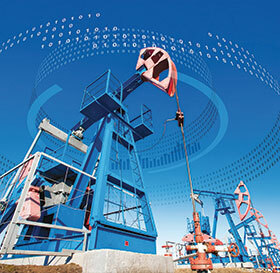 To maximise efficiency and safety, these systems are becoming more integrated, but unfortunately the traditional scada systems used by the oil and gas industry are difficult to integrate because they are highly independent and have limited connectivity to other systems. This limitation will need to be overcome as oil facilities grow more complex, and safety and reliability grow ever more important. Moxa’s complete range of industrial networking, monitoring and computing products are engineered for harsh mission-critical environments and provide the reliability, flexibility, and safety needed to maintain and operate oil and gas facilities. Moxa offers a complete range of automation and networking products specially developed for use in oil and gas facilities, each meeting global certifications such as UL/cUL C1D2, and ATEX Zone 2, IECEx or marine classifications like DNV GL, ABS, LR, and NK. Whether you require Ethernet switches, computers, gateways or I/O devices, Moxa has a product that best fits the hazards of the oil and gas industries. Moxa‘s high reliability, high availability networking solutions are founded on three key pillars: advanced network redundancy, high bandwidth portfolio and enhanced network security. For wired LANs, the Turbo Chain and Turbo Ring features deliver millisecond order network recoveries, while for wireless LANs Moxa provides zero packet loss guarantees and network level wireless redundancy enabled by AeroLink Protection. The Ethernet switches provide up to 10 gigabits of bandwidth for future-proof scalability. Finally, all of Moxa’s Ethernet products support strong security protocols that include 802.1X, HTTPS and SSL, alongside industrial secure routers that feature strong firewall, NAT and VPN functionality. Moxa’s industrial networking, monitoring and computing products help network administrators to overcome the challenge of integrating a variety of IA protocols like PROFIBUS, EtherNET/IP, and Modbus TCP with central HMI/scada systems, and to combine them in ways that enable the receipt and response of field data with high efficiency. Moxa provides a number of easy to use software optimisations for remote administration. MXstudio is Moxa’s integrated network management and diagnostics tool for Ethernet products. With MXstudio, users can speed up the process of field device configuration and troubleshooting. MGate Manager is a powerful automated utility that allows the control centre to take over gateway configuration from on-site personnel. With Moxa’s software enhancements, controllers can better collect data, evaluate component and network health and monitor devices for unexpected events.